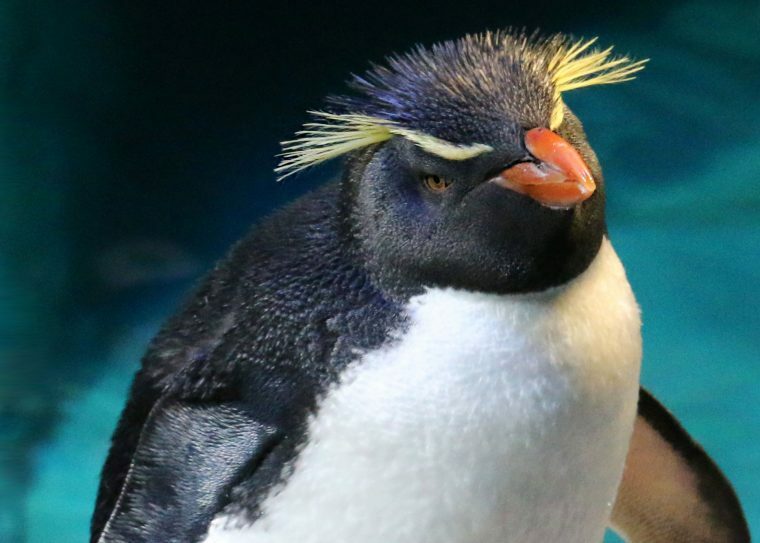 The New England Aquarium responds to calls about distressed whales, dolphins, porpoises, seals, and sea turtles. Our response area ranges from Salem to Plymouth in Massachusetts. If you encounter a sea turtle or seal in distress on the beach within this territory, please call our Marine Animal Rescue Hotline at 617-973-5247. Our rescuers also rehabilitate endangered sea turtles. 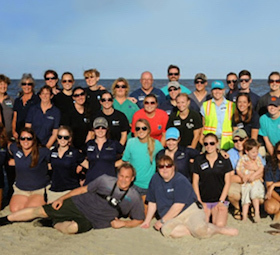 In the past decade alone, our rescuers have treated and released hundreds of Kemp’s ridley sea turtles as well as many green and loggerhead sea turtles. These numbers are especially significant considering the Kemp’s ridley is the most endangered sea turtle in the world. Each fall, volunteer walkers from the Massachusetts Audubon Society comb dozens of miles of beach trying to find stranded sea turtles. 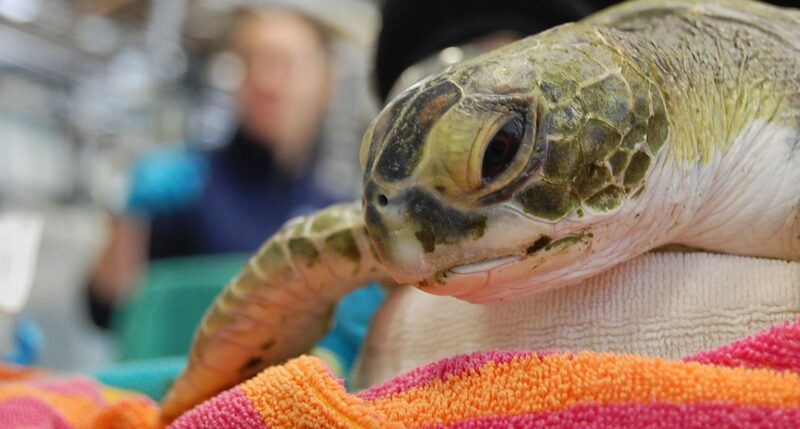 The turtles are transported to the rescuers and veterinarians at the New England Aquarium with extreme hypothermia, severe dehydration, pneumonia, and often shell or bone fractures. While 2014 was a record-smashing year when 733 turtles were treated at the Animal Care Center in Quincy, on average we treat about 90 turtles. Their treatment can last from several months to two years. Most of the sea turtles that arrive alive at the Aquarium recover and are released back into the ocean. A young green sea turtle in rehabilitation at the Aquarium's Animal Care Center in Quincy. A beached whale, dolphin, or porpoise should be reported immediately (see below) and left alone pending further instruction. Sea turtles in our region do not typically come ashore unless they are seriously debilitated. 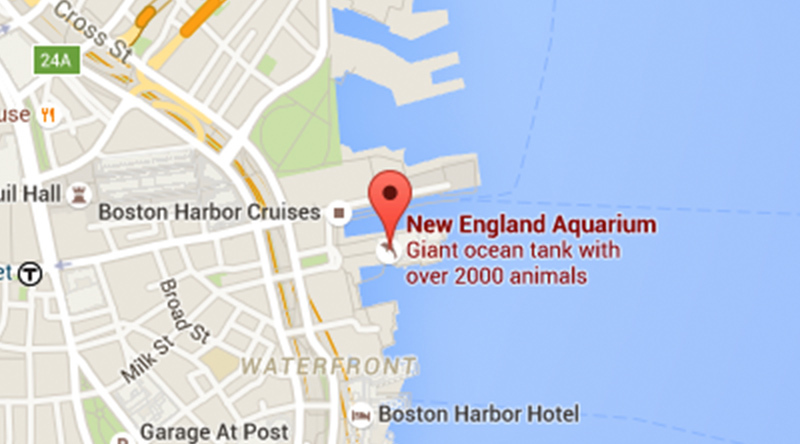 Call the New England Aquarium’s 24-hour Marine Animal Hotline. Please try to remain calm and leave your name and a phone number where you can be reached. Seals belong on the beach. It’s normal. Please don’t disturb them. 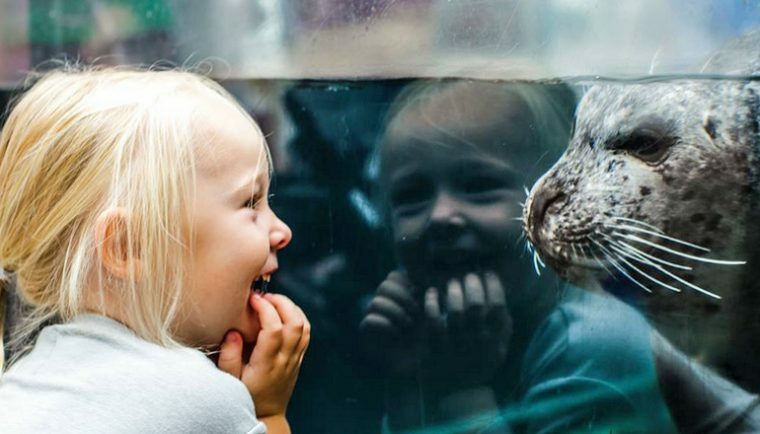 Unlike whales or dolphins, seals are semi-aquatic and are comfortable out of the water. Most seals come onto beaches to sleep, nurse, or soak up some sun. In fact, most seals on the beach are perfectly healthy, but sometimes they do need human assistance. 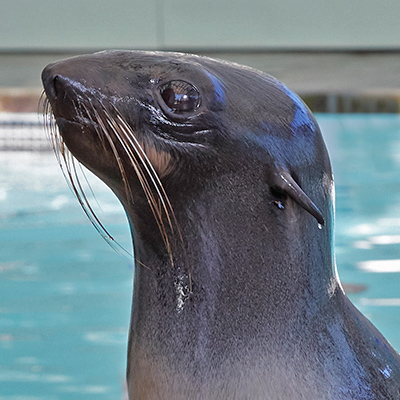 Does the seal have any obvious injuries, gunky eyes, or look skinny or underweight? If so, please take notes on its location, size, coloring, and behavior and call the appropriate marine animal rescue team.